His main practice areas include antitrust, litigation, regulation, public law, and mergers and acquisitions. Bayer on the mandatory merger control procedure before the National Economic Prosecutor (FNE) derived from the global acquisition of Monsanto Company. Mitsui O.S.K. Lines on a defense against a lawsuit submitted by the FNE against several car shipping companies for alleged bid rigging collusion. Danone regarding an investigation conducted by the FNE about the potential sale of its subsidiary in Chile. WOM on all the corporate, regulatory and antitrust aspects related to its mobile telephone and trunking operations in Chile and on all the aspects related to its administrative challenge of a technical rule of the Undersecretary of Telecommunications (SUBTEL) in connection with the frequency band requirements to be fulfilled by handsets commercialized in Chile, its certification and publicity requirements. Fresenius Kabi Chile and Laboratorios Sanderson on its defense against a lawsuit submitted by the FNE for alleged bid rigging collusion. The FNE accused Fresenius Kabi, Sanderson and Laboratorios Biosano of colluding from 1999 to 2013 on several bids conducted by Cenabast (Chilean state Agency which centralizes the acquisition of medical products for the public sector). A hotel chain on a consultation before the Antitrust Court regarding a potential concentration operation. Dirección General de Crédito Prendario in a law-modification request before the Antitrust Court. Several retail, energy, mining and pharmaceutical companies on defense investigations for alleged antitrust infringements of the FNE . Recognized in Competition and M&A, IFLR1000. Law clerk of the Antitrust and Regulated Markets, Mergers and Acquisitions, and Public Law Group, Carey (2012-2013). Teaching assistant of History of Law, Universidad de Chile (since 2009). 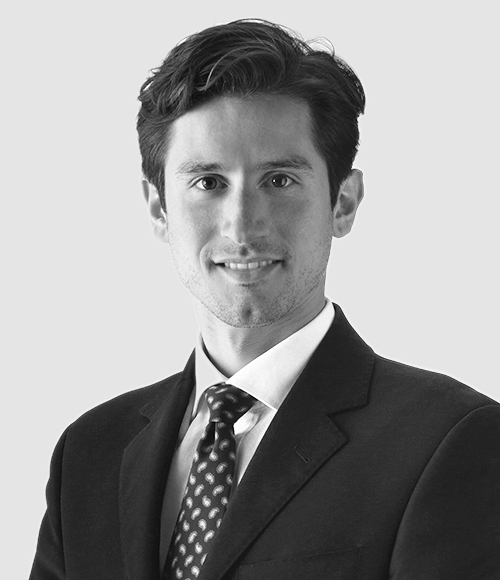 Co-author of the Chilean chapter of Overview of Competition Law in Latin America, IBRAC (2016). Degree in Economic Public Law, Universidad de Chile (2016).